Introducing a diver to the benefits of controlling his buoyancy usually has a great positive effect, an effect that will enhance the diver's sense of enjoyment and feeling of accomplishment. This specialty is designed to increase the open water diver's understanding of the factors that influence buoyancy, and to train the diver how to use the means available to him as methods for controlling his buoyancy. The added benefits to the marine and freshwater environments, cannot be overstated; as well as a diver that has better control of himself in conjunction with his environment. 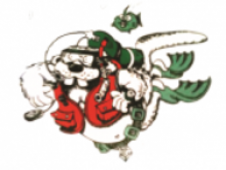 SDI DEEP DIVER COURSE SDI’s Deep Diver Course is a must for any diver wishing to explore a little more, go a little deeper, and learn the risks and benefits associated with deep diving. Many interesting sights lay just beyond open water diver training limits such as: beautiful wall dives, shipwrecks, and critters that don’t come into the shallows.The purpose of this course is to provide the necessary training to plan and execute dives that are beyond the depth range experienced during an SDI Open Water Scuba Diver course, specifically beyond 18 metres/60 feet and to a maximum depth of not greater than 40 metres/130 feet. By the end of the course your knowledge, awareness, and comfort level with deep diving activities will have increased. Divers are intensely fascinated by navigation. . . It allows them to make their way back to a special spot discovered on an earlier dive. They use the tricks and techniques of navigation to find an ideal exit point at the end of a dive without the need for an uncomfortable surface swim.Your SDI Underwater Navigation Specialty course will help you overcome the obstacles inherent to finding your way underwater. You will learn how easy and simple navigation can be and how it will help you both above and below the surface. During this course, you will review natural aids such as sand ripples or reef formations, which can accurately predict your route. Tools such as mechanical or digital compasses are a surprising challenge to the novice but we will help you unravel the challenge and teach the practical skills and techniques you’ll need to use them effectively. This course is designed to give students a greater understanding and experience on how to properly navigate underwater using both natural and compass navigation.